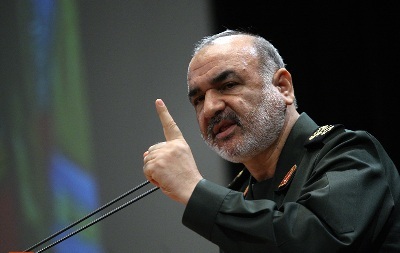 IRGC to Saudi, UAE: Don’t Cross Our Red Lines! “If you cross our red lines, we will surely cross yours. You know the storm the Iranian nation can create,” Salami said in a speech during Friday prayers, as cited by Reuters. “Stop creating plots and tensions. You are not invincible. You are sitting in a glass house and cannot tolerate the revenge of the Iranian nation…We have shown self-restraint,” Salami added. The deputy commander also said that the United States has to “stop supporting the terrorists,” warning that Washington would “pay the price” if it didn’t. Salami’s remarks come on the heels of comments by Iranian Supreme Leader, Imam Sayyed Ali Khamenei accusing Saudi Arabia and the UAE of financing the perpetrators of Saturday’s terror attack in Ahvaz, which killed at least 25 people and injured over 60 others.